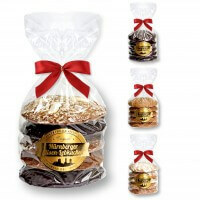 Original gingerbread cookie from Germany - Nuremberg. You can choose four types of packages. 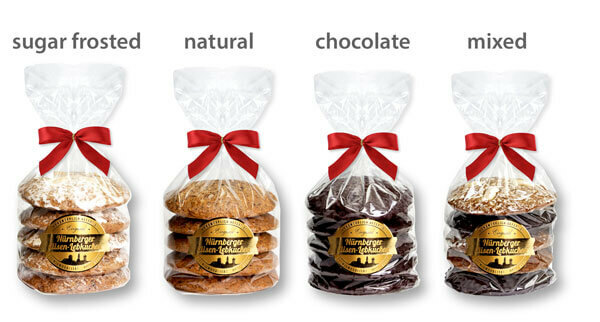 Sugar glaced, chocolate covered, plain or mixed packages. The finest quality in town, freshley baked 365 days of the year. 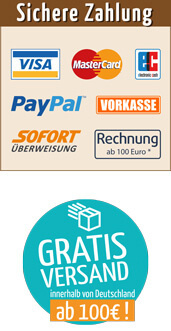 We deliver worldwide and offer fast shippings. 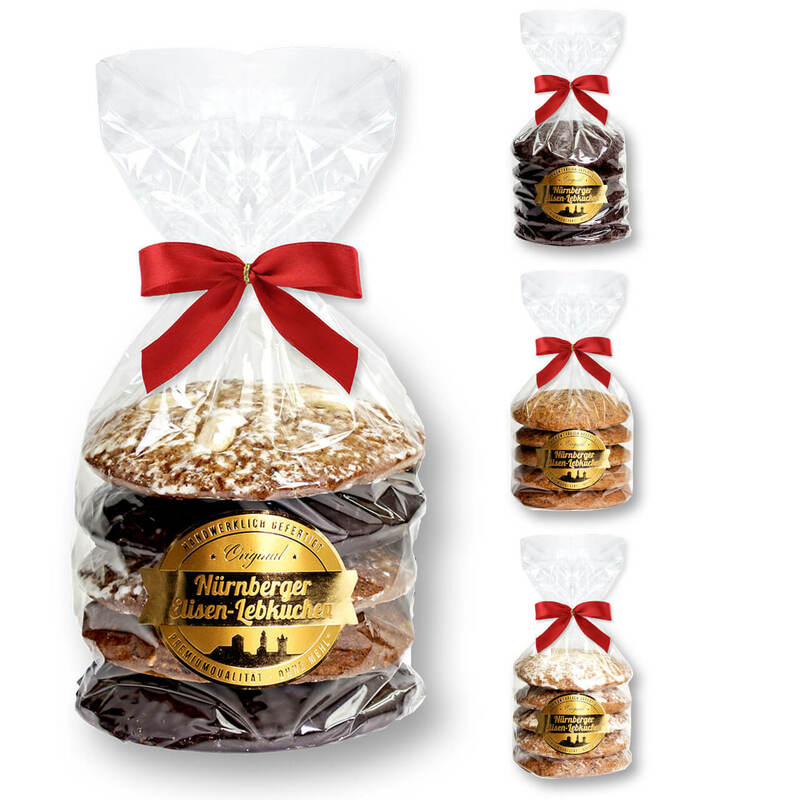 You get 3 pieces of finest Nurembergs Elisen Gingerbread in one pack.